The NOCO GB40 allows you to safely jump start a dead car battery in seconds. The GB40 UltraSafe Lithium Jump Starter out performers the competition. The GB40 is a light-weight, portable, mini, pocket sized lithium-ion jump starter for 12 volt lead acid batteries. It will safely jump start your vehicles dead battery in seconds, like on a car, boat, motorcycle, ATV, RV, lawn mower, truck and more. The GB40 is powered by a high-density NOCO element lithium-ion battery that can hold it's charge up to one year, and handler over 1,000 cycles. 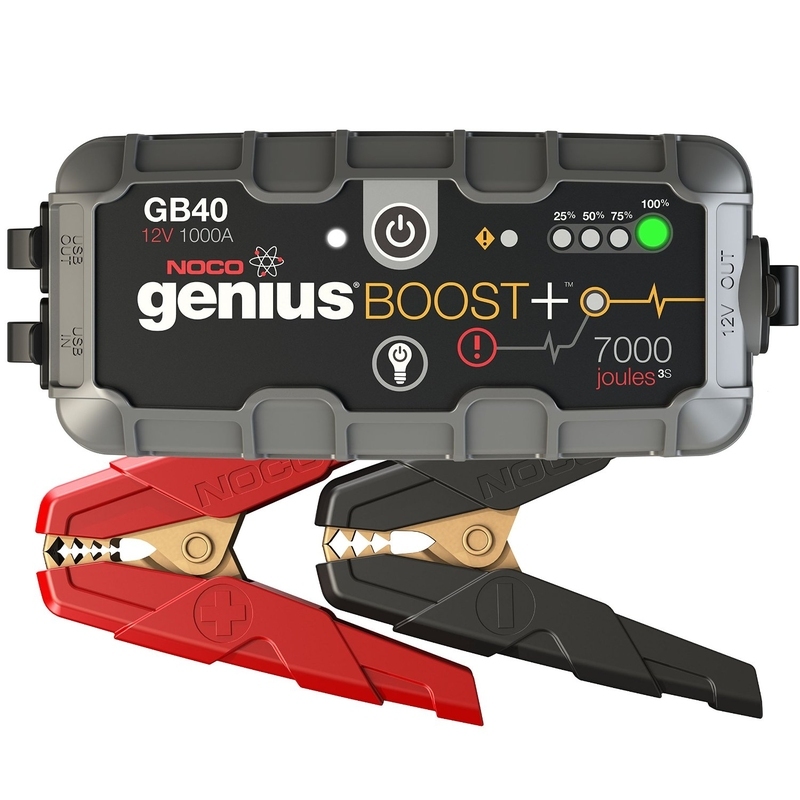 With Genius Boost, we set out to design the safest battery jump starter pack available. To do that, we built-in in a complex array of top-of-the-line processors, thermal sensors, and power management devices. And we accomplish it without sacrificing performance. 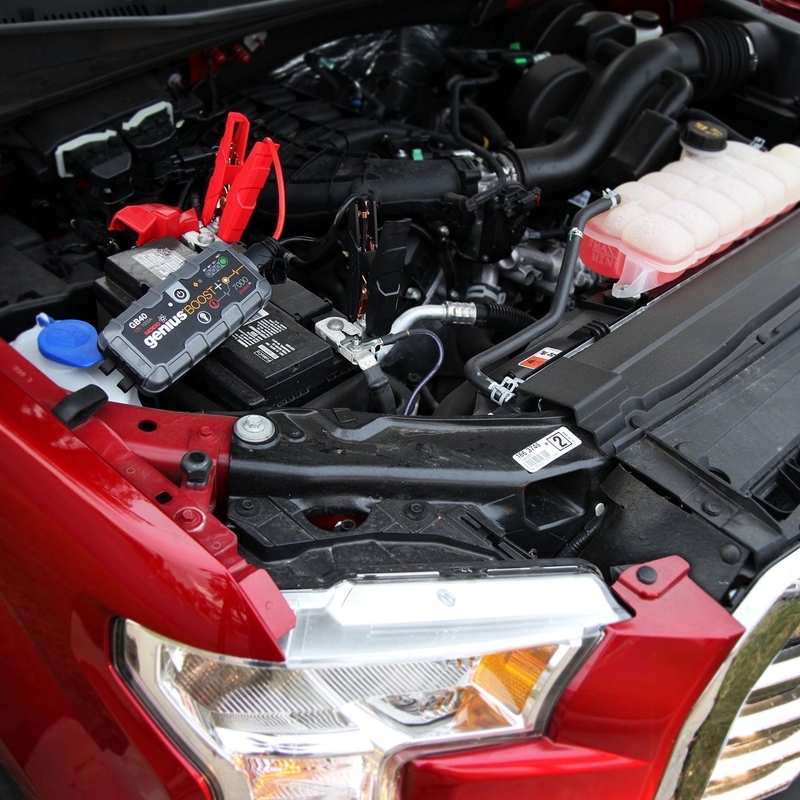 The result is an extremely safe car jump starter for use by all types of drivers – from skilled mechanics to those with little or no technical savvy. The GB40 is USB compatible. I can be recharged from any powered USB port, or the included 12V charger and can recharge virtually in any USB device, including Smartphones and Tablets.